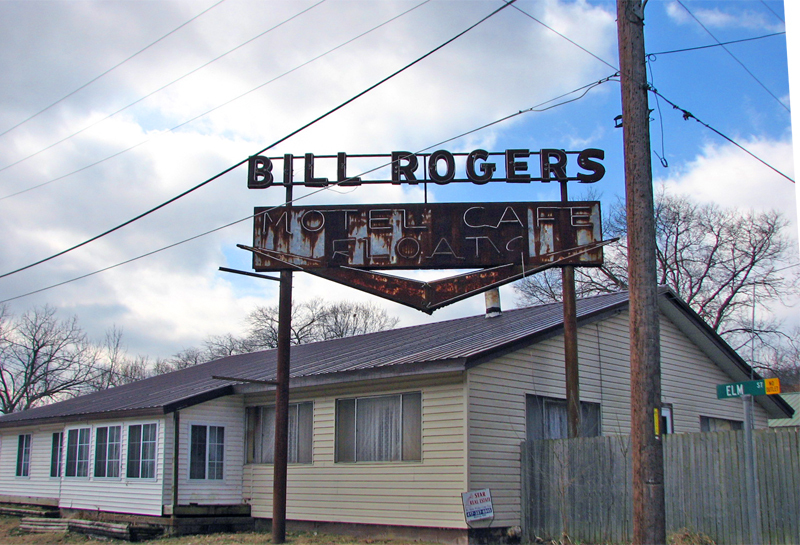 Bill Rogers was a successful operator through the early 1970's in Galena. 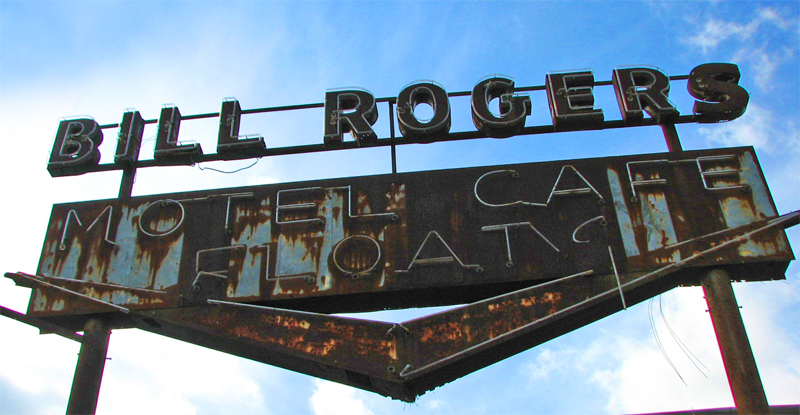 The old sign and Motel are still here, however the place is for sale and could be in danger as a viable business in the future. I can only hope someone has the brains to salvage this very retro sign, Galena should as a town, add it to their historical preservation. This neon is epic! 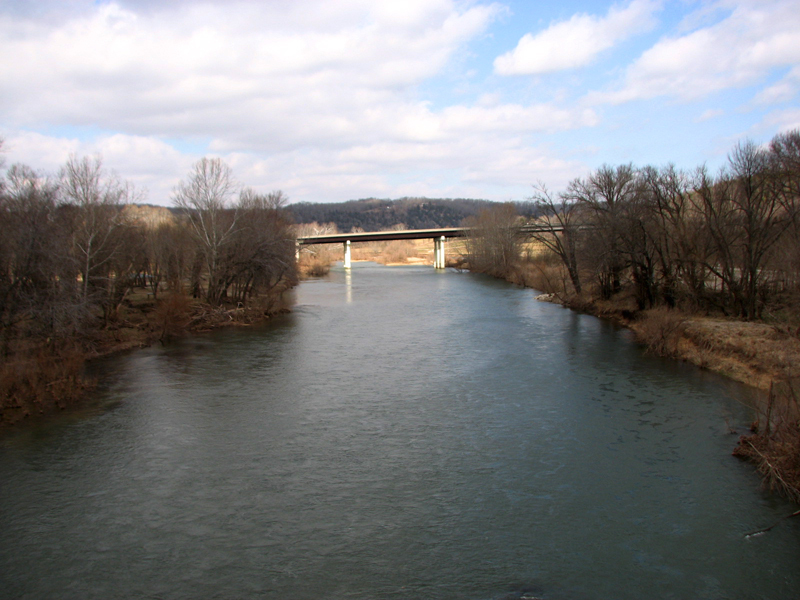 The Y Bridge at Galena is on the Register of Historic Places. 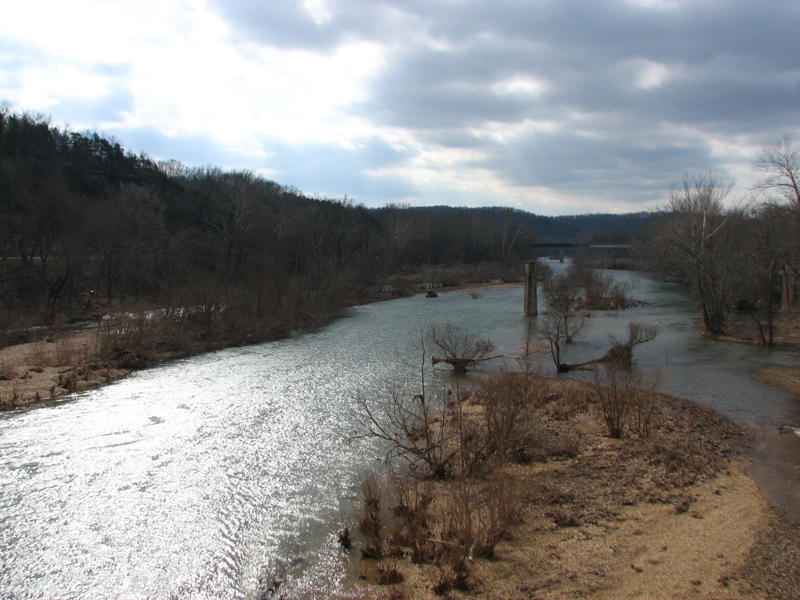 Looking west into Galena, the Y Bridge is showing some age. Built in 1929 it has withstood some monster floods. 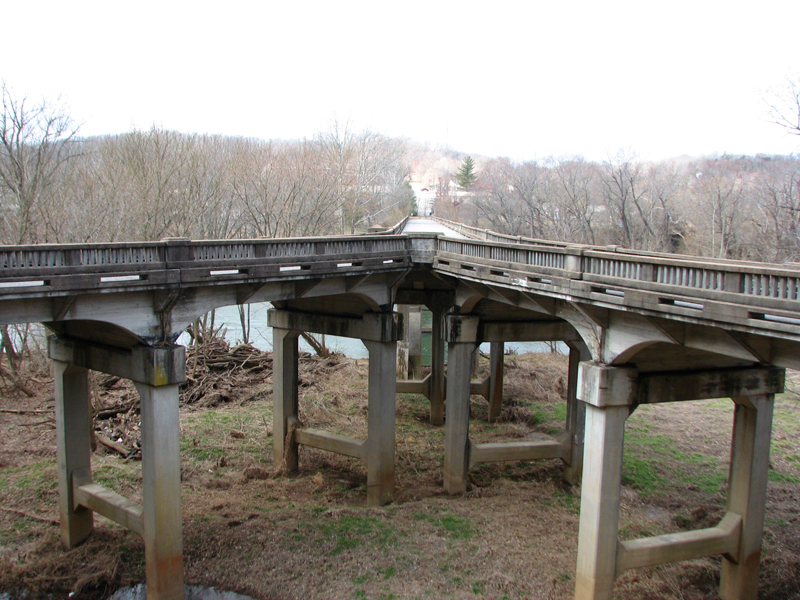 Note the debris near the top of the bridge floor. Located at the east end of the Y Bridge. 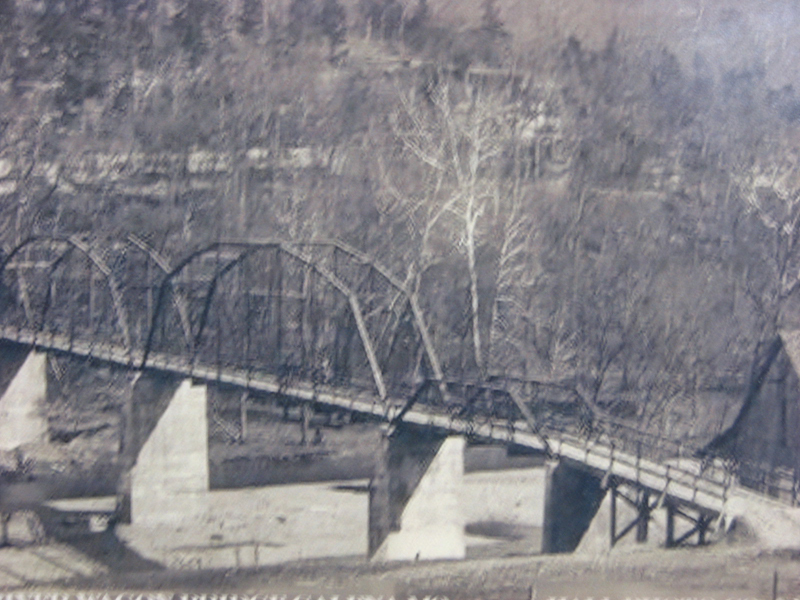 If you would like to see some vintage historical photos of the Y Bridge dedication drop by the Galena Library as they are on display! 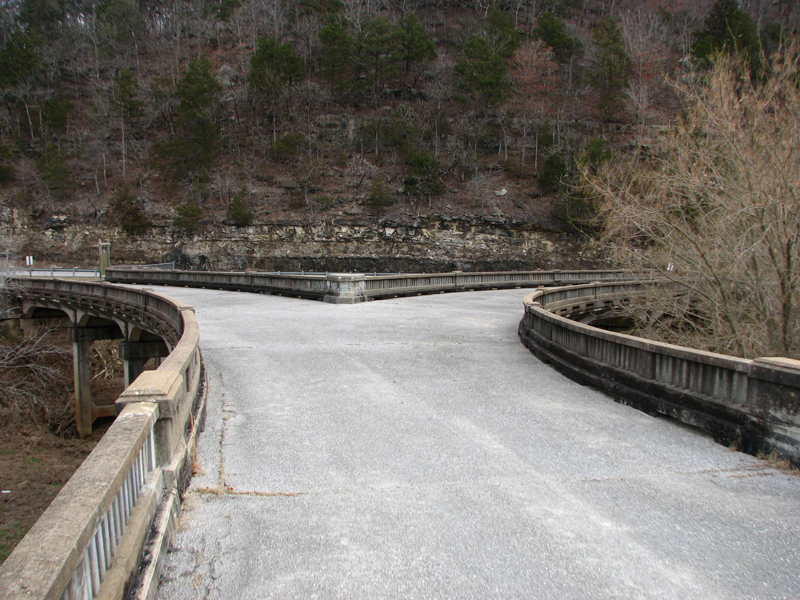 This is the Old Wagon Bridge just downstream from the Y Bridge. 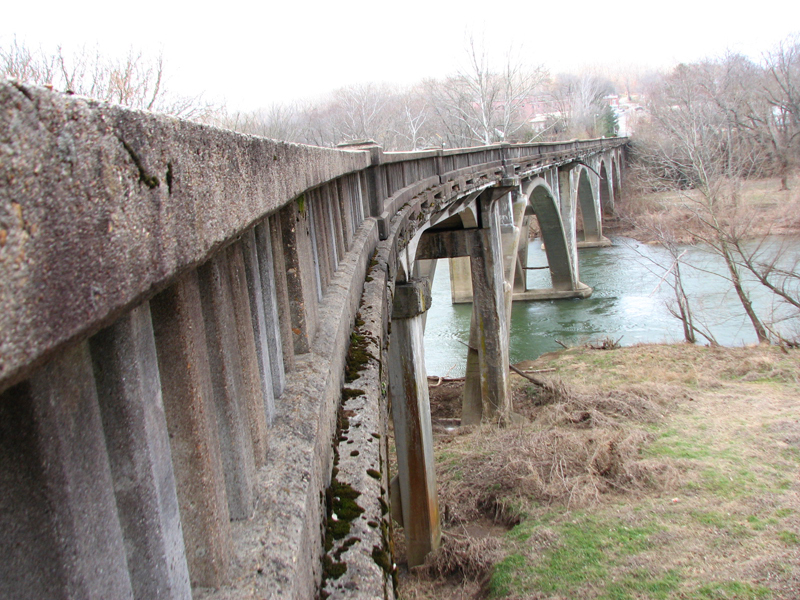 The photo below shows the pillars are still there, the bridge however is long gone. Some say the steel from the Old Wagon Bridge was used to build McCall Bridge up river from Galena, McCall Bridge has since been demolished. The pillars from the Old Wagon Bridge are still standing tall even though they have seen one hundred plus years. 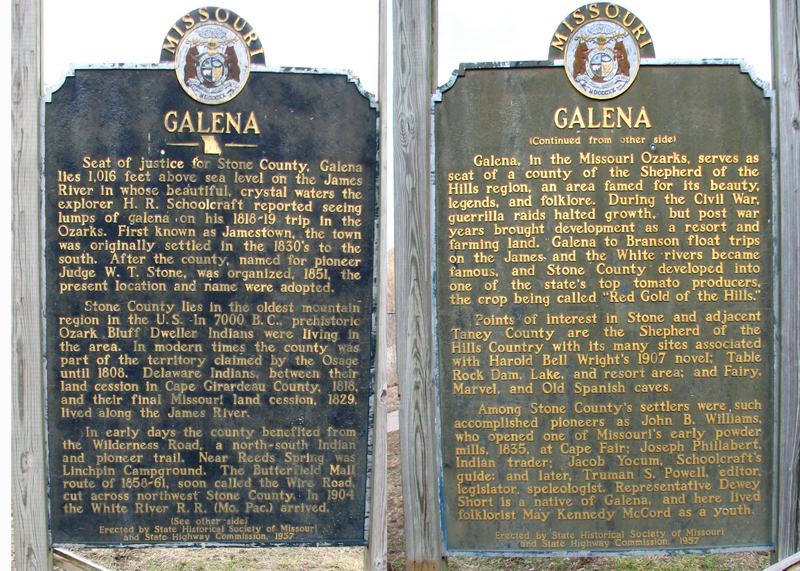 Galena has always been a river town, The Galena Boat Company was on the square and supplied many a guide with boats. 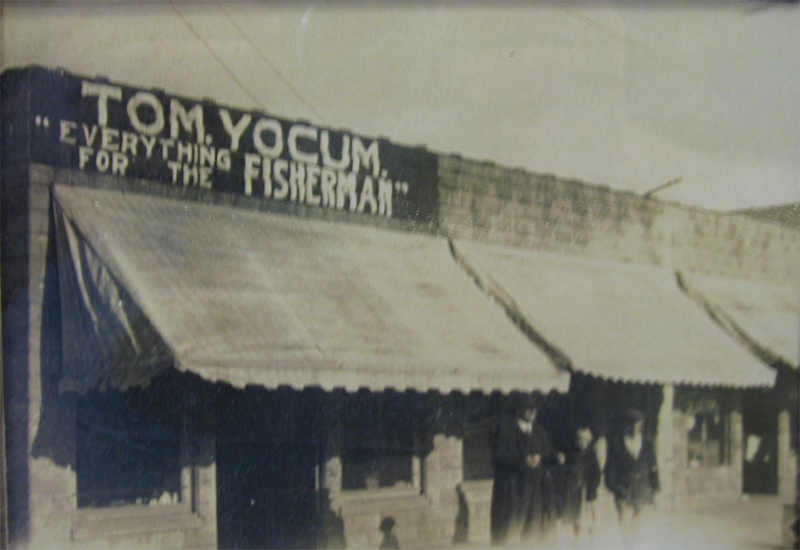 Yocums was also on the square as shown in this 1926 postcard. 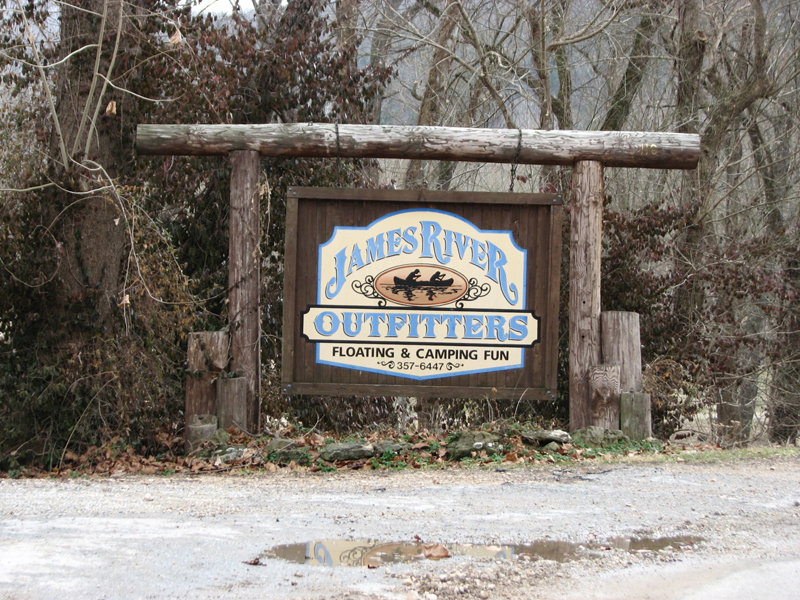 Today James River Outfitters supplies adventurers with canoes, continuing the tradition. Located just below the Y Bridge makes it perhaps the largest of the remaining services on the James at Galena.